Last St. Patrick’s Day was a bit of a sick affair and there was no doctor to be had. 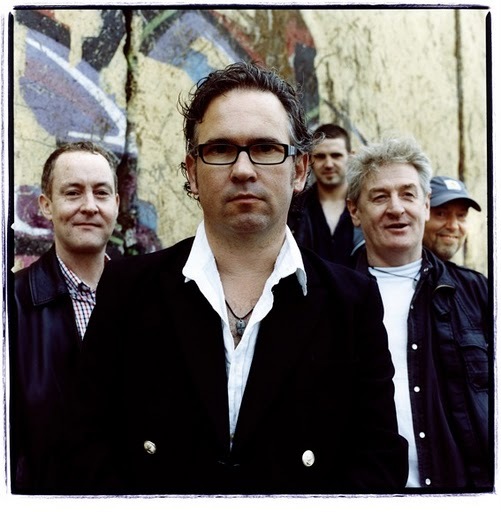 Tuam’s favorite sons decided to mix things up a bit, and instead of making their annual trip to America in March, the Saw Doctors headed to Australia to visit the many ex-pat fans they have there. All is right with the world for 2011, as the Saw Doctors resume their Paddy’s Day tradition and are rewarding fans for the wait with The Further Adventures of the Saw Doctors, their excellent new album. The band previewed bits of it a couple of weeks ago in Maryland, where they rocked the inauguration of Governor Martin O’Malley. Further Adventures opens with the hit single “Takin’ the Train,” a soaring rocker about the tracks leading to love and “rain-soaked kisses.” “I hope they’ll understand/a town can’t force your hand,” sings Davy Carton in the chorus. “Well Byes” borrows a Randy Newman piano riff as Carton tells the story about the “buy and sell boys” that hawk pirated “DVDs, baseball caps and hoodies” out of their trunk. As Springsteen is to New Jersey, the Saw Doctors are skilled reporters of Irish life. They are too sunny to spend too much time talking about the economic hardships of Ireland, yet “Well Byes” tells you all you need to know about what some folks in Galway are doing to make ends meet during these tough times. With the winning tracks of Further Adventures, the Saw Doctors are the Bosses of the Bogland! The band gets in touch with their inner Everly Brothers with “Someone Loves You,” a gorgeous midtempo ballad that is sure to be a favorite at the next bog wedding reception. “Songs and Stairs” is an alt-country ditty that Lyle Lovett would cut his hair for. The band took full advantage of the favorable economics of modern technology, capturing ideas a few songs at a time as opposed to waiting to book studio time after amassing a ton of songs. This produces a fresh, live feel to the songs. All of them are fresh as this morning’s brown bread. Though the album was recorded with modern technology, the band sounds live and remarkably uncluttered on Further Adventures. Producer Philip Tennant has a long association with the Saw Doctors and oversaw the new album. He told R2 magazine, “I don’t think the process of recording is that different. We use a bit more technology with Pro Tools and digital editing but we always used to do that. “The key things with the Saw Doctors have always been the songs, Davy’s voice and Leo’s low guitar lines. They are the constants, and the fact that we have a modern studio doesn’t make that big a difference. Absence makes the heart grow fonder, but hearing the brilliant songs on The Further Adventures of the Saw Doctors is the real reason this reviewer is stoked to see the Tuam lads return to our shores! Keep your eyes peeled here for an exclusive interview with the band in the coming weeks. The tour includes eastern stops at the Stone Pony in Asbury Park, New Jersey on March 10, Irving Plaza in New York on the 11th and 12th, and Philadelphia’s TLA on St. Patrick’s night. Catch up with the lads on www.sawdoctors.com.